The placement of dental implants requires surgical procedures to be done; this in turn necessitates the tissues that are involved in the surgery to be provided with a healing time after the surgical procedure has been finished. 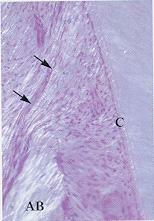 The re-growth of the tissues involved in the surgical process, or regeneration, is encouraged through the enamel matrix proteins that are included in the Emdogain protein preparation. Emdogain protein is an enamel matrix protein that has the ability to recreate all necessary tissues that are necessary for functional attachment in patients who are suffering from moderate to advanced peridontitis. The Emdogain protein is also used by the dentist at Woodbury Dental and Laser Clinic in Kent to encourage the regeneration of the tissues that have been affected by the surgical procedure needed to complete a dental implant placement; the enamel matrix proteins are proven to stimulate the re-growth of both the soft (gums) and the hard (bone) tissues that surround the area where the dental implants have been placed, through a surgical procedure. EMDOGAIN provides a revolutionary way of considering the regain of the parts that support the teeth, so these parts can become fully functional once again. Created to be a simple adjunctive product, EMDOGAIN naturally fits into periodontal treatments that have been established by the dentist at Woodbury Dental and Laser Clinic in Kent. 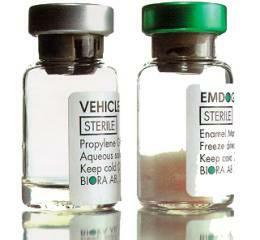 The EMDOGAIN product package contains two vials – the first vial contains a vehicle solution, while the second vial has freeze dried enamel matrix proteins (the amelogenin fraction). The contents of the two vials are mixed, to create an easy to use, viscous, syringable gel that can quickly and efficiently be applied during normal flap surgery. Emdogain efficiently encourages a natural biology-based response in the human anatomy. Emdogain is naturally resorbed by the body with the natural healing process, and leaves only a small amount of residue of enamel matrix protein on the root surface that has been debrided. 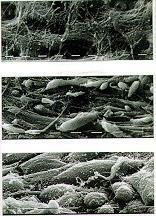 This natural and insoluble surface layer encourages the growth of cementum-forming cells from the surrounding tissues. The surface that has been encouraged to grow by Endogain proteins (after a surgical procedure) will also function as an efficient interface between the tooth and the surrounding tissues; this interface will successfully prevent resorption of the epithelial tissues. It is proven that two weeks after the application of Endogain proteins, 75% of the dentin’s surface will be covered with cementum-forming cells. 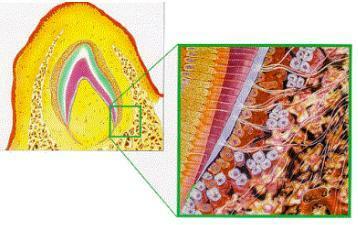 The formation of cementum will pave the way for the establishment of jaw bone and periodontal ligaments re-growth. Emdogain is proven to cause very little to associated postoperative pain and swelling to further encourage the rapid healing of the area after the surgical procedure by the dentist at Woodbury Dental and Laser Clinic in Kent. How safe is Endogain Use? Endogain is very safe to use! The safety of using Emdogain has been thoroughly documented; the documentation is supported by a detailed toxicology program that includes reproductive toxicological tests, chronic and acute toxicity studies, and in vitro mutagenicity studies. A number of additional toxicology studies have also been carried out to establish the safety of Emdogain use by the dentist at Woodbury Dental and Laser Clinic in Kent. The potential for sensitization and other immunological reactions in humans have also been scrutinised, and there have been no immunological or allergic reactions that were found with Emdogain use. The clinical documentation establishing the safety of EMDOGAIN use has been obtained from a series of strictly designed studies that involved almost 300 patients from 15 clinics – from both Sweden and the US. 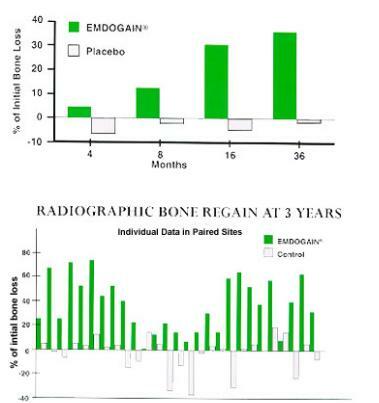 The patients who have been part of the studies were followed for a span of nearly three years, and have shown significant and uniform improvement in EMDOGAIN treated teeth as compared to control surgery; the advantages of Emdogain use are evident in achieving statistical significance for probing pocket reduction, radiographic bone gain, and clinical attachment gain.